The attribution or authenticity of a work of art depends in part on the materials and techniques of the work being appropriate for the purported age of the piece. Confirming this, that the work is what it purports to be, is critical prior to a successful sale, whether you are the purchaser or the seller. The scientific confirmation of a work’s stated condition is also essential in today’s art market, whether the work is a old master painting, a contemporary painting, a Roman bronze, a Renaissance marble, or a Limoges enamel. The conservation or modification of artworks was typically not documented prior to 1970, and conservation records are not always retained with an object over its lifetime. As a result, it is not unusual to find numerous undocumented restorations present on a work, or to find that a work is in fact a pastiche of several lesser works. Diagnostic techniques like x-radiography, infrared reflectography, and x-ray fluorescence allow us to determine the percentage of the work that is original, and if the state of preservation of a work is being properly represented. To properly establish and document the materials, techniques, and condition of the work requires a detailed knowledge of the history of artists’ materials, tools, and techniques. SAFA’s founder, Jennifer L. Mass, Ph.D., has over 20 years of experience working in the field of art conservation as a cultural heritage scientist. During this time, she has brought her expertise to bear in questions of the attribution and preservation of old master paintings, 19th century paintings, the early Modernists through the Expressionists, and contemporary painting. She has also been teaching the history and identification of artists’ materials and since 1998. In addition, SAFA is unique in having physicist and computer scientist, Vice President Adam C. Finnefrock, on staff. Dr Finnefrock’s expertise is critical for processing data from SAFA’s imaging modalities, allowing our clients to seamlessly switch between ultraviolet, infrared, x-ray, and visible light images of their work. He also has expertise in thread counting and building both custom x-ray and visible light spectrometers and software for specialized projects. 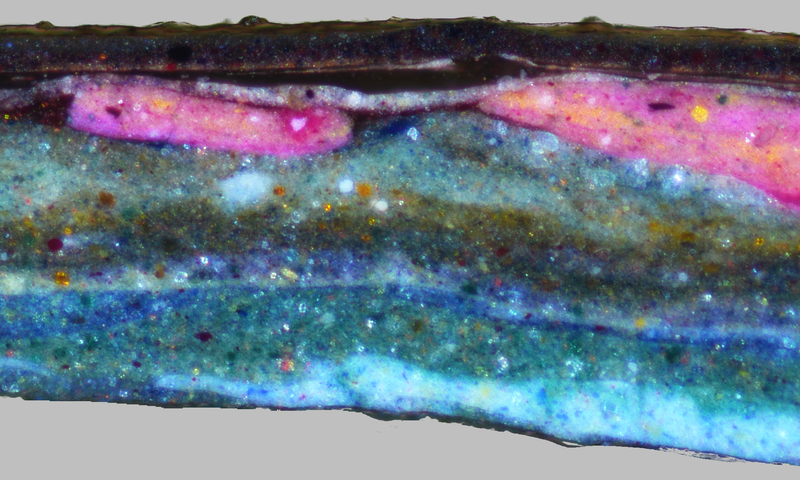 Dr. Mass and Dr. Finnefrock have extensive experience with understanding artists’ materials as they age, going beyond simple materials analysis to materials degradation for determining evidence of age.